Lamplight Lane: Quaint English cottages running along a footpath, a lively stream spanned by an ornate Victorian bridge, sunlight breaking through clouds. 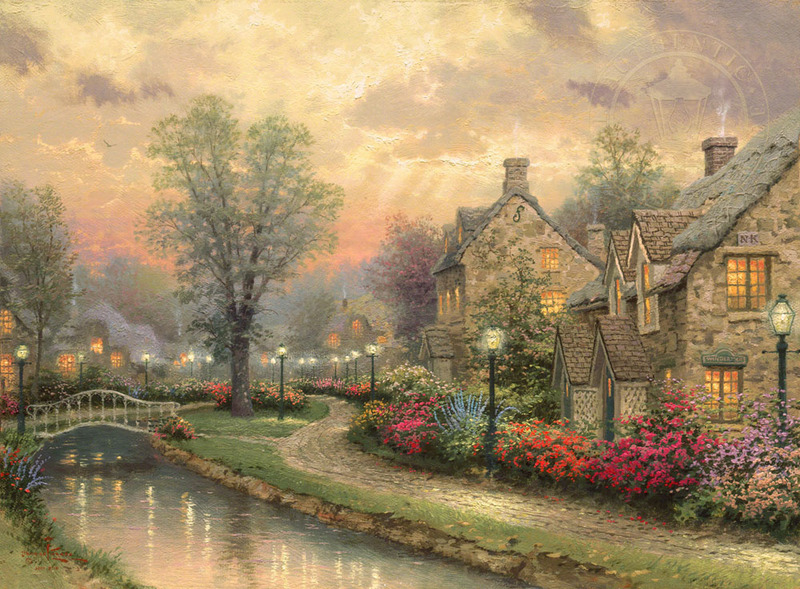 It seems too perfect to be real; and yet, I painted Lamplight Lane almost completely on location, at a charming little village in the English Cotswold Region that looked very much like this. My artistic imagination supplied only the finishing details.